Liverpool are set to take on Everton in the English FA Cup third round game on Friday night, 05 January 2018 at Anfield which is a huge game for both sides. 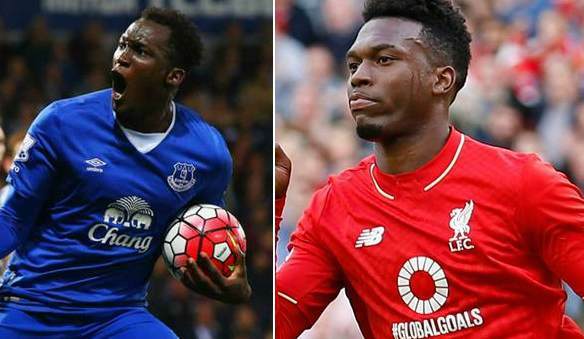 These two already meet back in December in the premier league when they played out a 1-1 draw at Anfield. Jurgen Klopp is likely to make several changes in the starting lineup while Everton will fancy their chances against a deplated Liverpool side who are there for the taking. The game will kickoff at around 19:55 uk time and BT Sports has live coverage in the UK. We will have live links closer to the start of the match. Everton have not beaten Liverpool at Anfield for best part of last 16 years and it looks highly unlikely considering both teams forms that it is going to change anytime soon. However with new manager Sam Allerdyce, Everton might put up a good fight and their only chance in this game will be if they can frustrate Liverpool for longer periods of time and catch them on the break. 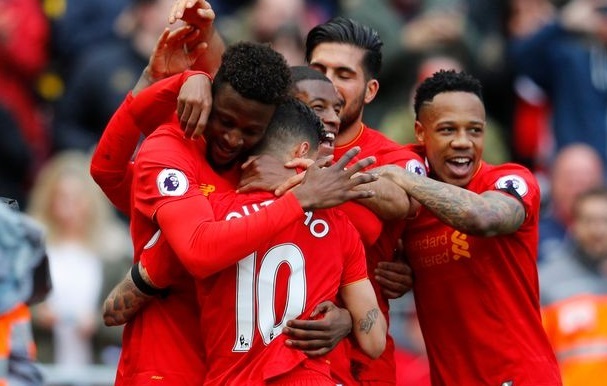 Liverpool can go within just three points of second placed Manchester United who are playing Man City later in the evening. A win is a must for Liverpool if they were to continue staying in the top four. Everton can also jump into the top half of the table with a win. Last time these two meet was in Premier League back in April 2017 when Liverpool ran out rather comfortable winners at Anfield thanks to goals from Coutinho and Origi. Everton will have to play out of their skin to get positve result against a free scoring Liverpool who are coming into this game on the back of scoring 15 goals in last three matches and conceding just one. 08′ 1 – 0 Sadio Mane scored early in first half in just 8th minute to make it 1-0 for Liverpool. 28′ 1 – 1 Matthew Pennington equalized just before halfhour mark for Everton. 31′ 2 – 1 Philippe Coutinho however put Liverpool right back in the lead minutes later in what was a very exciting Merseyside Derby. 60′ 3 – 1 Divock Origi ensured the three points midway through second half. Team News & Lineups: Going into the game Jurgen Klopp will have Daniel Sturridge back in the squad and might find a place on bench considering Divock Origi’s goal scoring form. Firmino, Origi and Mane set to start upfront while Lallana, Henderson and Wijnaldum to play in midfield for Liverpool. Klopp is likely to keep Simon Mignolet in goal after dropping Karius against Middlesbrough. Everton on the other hand can not wait for January transfer window to kick in as they are close to signing Morgan Schneiderlin and Memphis Depay on loan from United. But for now they will have to stick with what they have and we can expect unchanged side apart from Gareth Barry who was sent off against Arsenal. 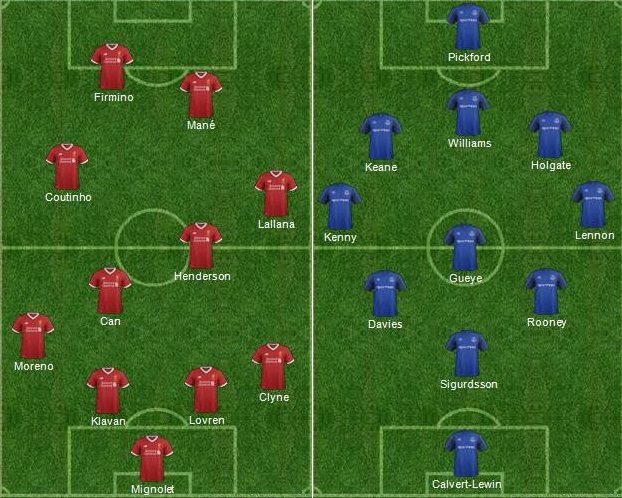 This is how I expect both teams to lineup on Monday night. Match Predictions: When these two teams meet form leading up to the game goes out of the window and this is the case this monday night. Both teams are well rested with extra couple of days available to them and I expect a tight game where 1 goal might decide it. Liverpool are playing some scintillating football at the moment and I am going with them to take all three points in this game.